We're back at the Airfield catching Soaring in it's 3rd Go of the Semester! 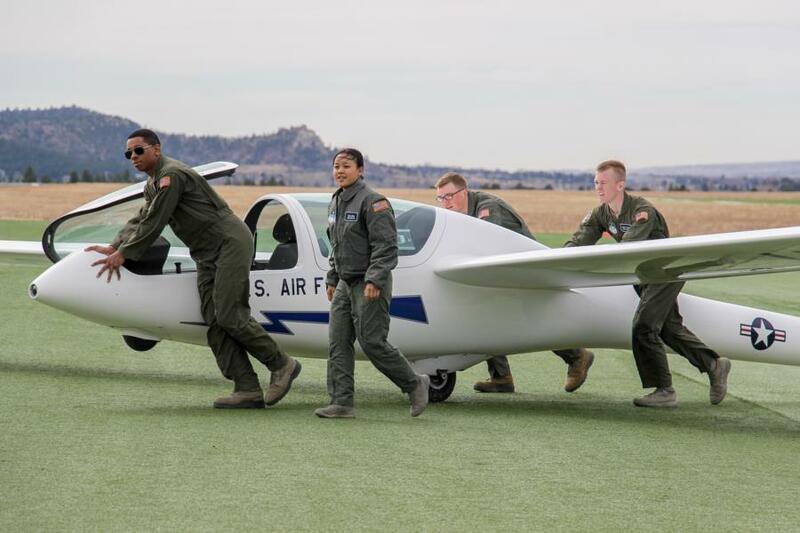 The cadets in Soaring started their session on March 3 but with the bad winds and weather only started getting flying time in last week and we happened to be there to catch them! Winds were still a little rocky when we stopped by and but the weather is up in the high 60s into the 70s this week. Most were only on their 1st or 2nd Flight out of the 4 they will take. 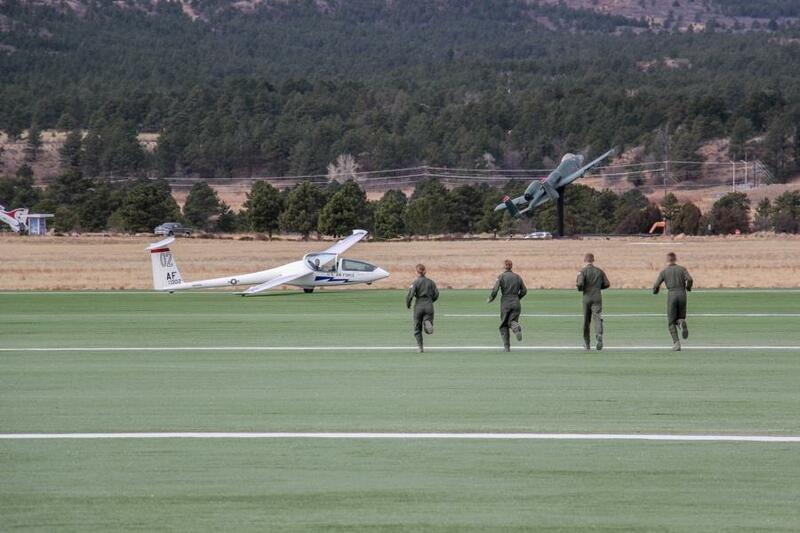 Each Go Cadets only have 10 lessons of Soaring and must try to complete those 4 flights within that time. We will be back next week to catch T Day in action! Back in December, Cadets had to apply for the Airfield program they were hoping to take during one of the 3 summer periods. 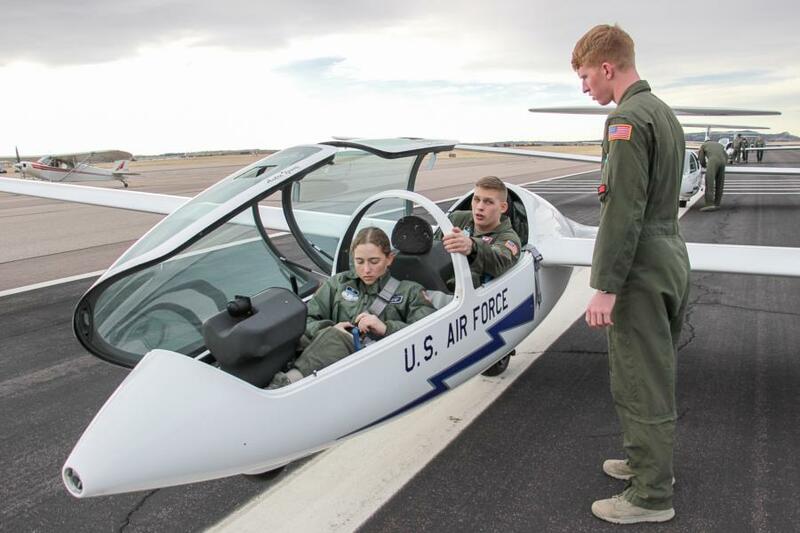 After talking with different cadets it seemed pretty even as far as those who wanted to take Soaring (which would make them eligible for AM 461, the Cadet Instructor Pilot Upgrade program which they would take their Sophomore year - and others were hoping for AM 490, Jump instead. I guess we'll find out who ended up getting which program when we catch the Upperclassmen summer programs! Most of the Cadets we will catch during the academic year with our coverage of Soaring are the 4 Degrees, as they fly during the morning and into the afternoon, but more than likely with our afternoon coverage you will see more of a range of all 4 Classes. The reason being is that while the 4 Degrees are going through AM 251, the upperclassmen (mostly 3 Degrees) are going through Airmanship 461 or AM 461. 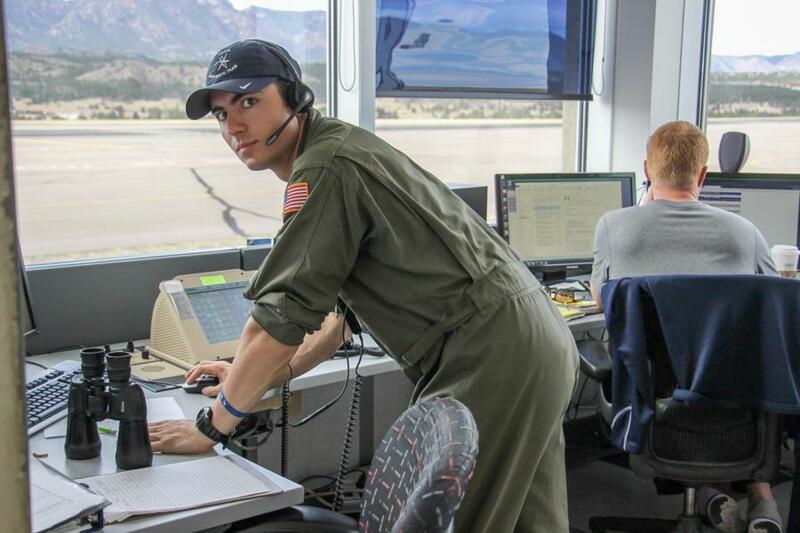 AM 461 is a Cadet Instructor Pilot Upgrade program, which will run all semester long. Only a certain number of 3 Degrees are selected from the applicant process and those who are selected will be the next generation of Soaring IPs (Instructor Pilots). While the 4 Degrees in AM 251 only have to take 4 Flights, the 3 Degrees in AM 461 must complete a total of 80 or more flights, not to mention ground and flight evaluations. 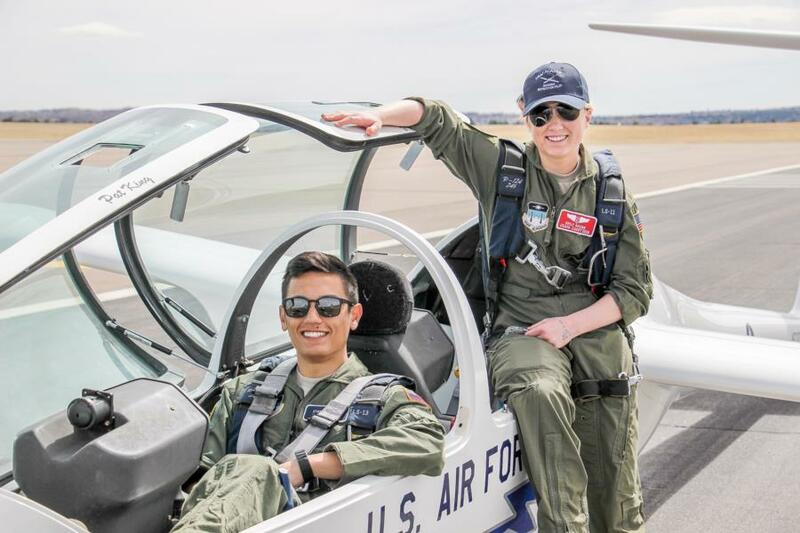 The Cadets who complete this program and get their wings are the Air Force's yougest instructor pilots. Once AM 451 is completed the Cadet IPs can take one of two programs. AM 472 where they would then become instructors for the AM 251 program. Or AM 473, where their main job would be to train the next group of cadet instructor pilots. 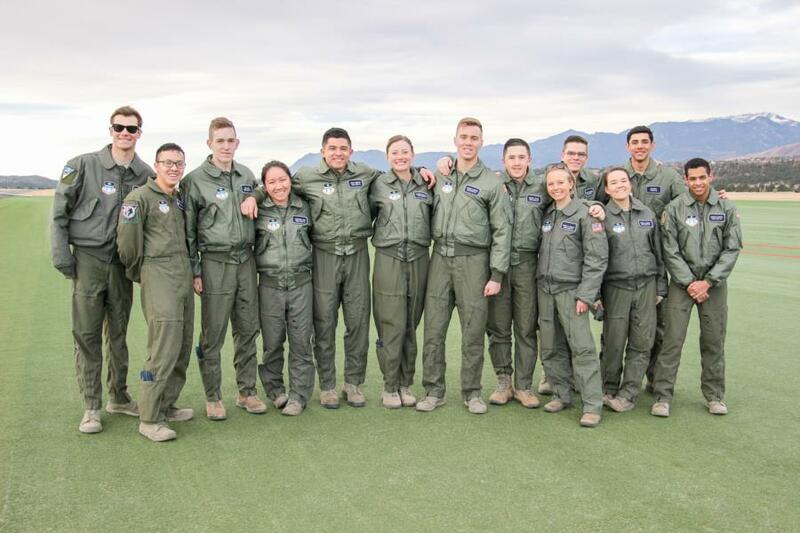 To read more about the USAFA Soaring Program click here to read one of our earlier blogs from this semester. To view the rest of the pictures from our M Day coverage of Soaring go to; Galleries - Airmanship - Soaring. Or click the link below.